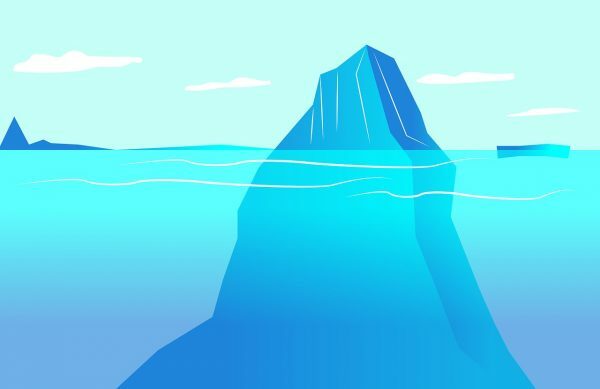 Only very few of the world’s largest Bitcoin broker sites are able to offer Iceberg orders for Bitcoin traders with big positions. There are 2 basic requirements a Bitcoin broker has to meet to be able to handle such a highly specific type of trading order. The first requirement is an over average overall trading volume, so the Broker has to be one of the big players on the global crypto market. But the second requirement is a top level technical order system which is able to handle specific automated orders, and that seems to be the sticking point as there are a couple of high volume exchanges or broker sites, but Bitcoin Iceberg orders are hard to find. However, 2 of the biggest international Bitcoin broker platforms do offer the automated service of splitting big positions into smaller units and hiding the rest from the public order book. BitMEX not only is one of the largest Bitcoin brokers worldwide when it comes to trading volume, it’s also No1 for Bitcoin margin trading. In July 2018 the broker platform reached 1 million XBT (Bitcoin) of trading volume on a single day. Bitmex is the most popular broker for professional margin trading for a reason – since they offer one of the most advanced trading systems available. 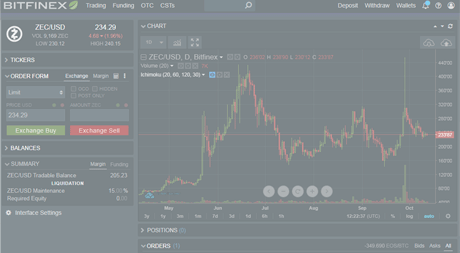 Additionally the platform’s clean interface is easy to use. While large Bitcoin exchanges mostly only have basic order types like market/limit buy/sell orders, Bitmex is a highly professional broker with all kinds of advanced order types for pro traders, including Iceberg order. It’s a “real” Bitcoin broker, so traders get transferable Bitcoins (the disposal over private keys), meaning this platform is not about CFD trading. 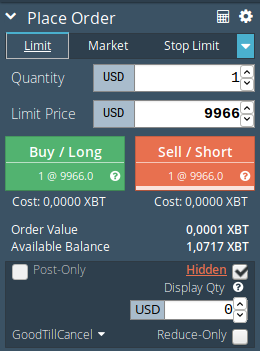 An Iceberg Order can be placed on Bitmex by selecting one of the Limit Oder types (such as Limit Order, Stop Limit Order or Take Profit Limit Order) and additionally checking the “Hidden” box where a quantity to display has to be put. Set to 0 to create a completely hidden order or set to amount below your total oder quantity to create an Iceberg Order. Bitfinex is one of the international high volume brokers besides Bitmex. The broker is known for their excellent management and top level security – a standard they reached after a bigger hack in 2016. Their recovery management from the hack was exemplary and proved the company’s seriousness and reliability. Today Bitfinex is one of the first choices among professional traders. 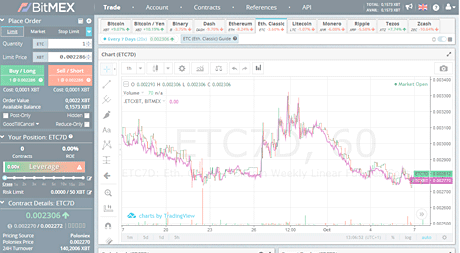 One of the reasons is their technical trading system, which reaches the highest possible standards concerning order types. Besides Bitcoin Bitfinex offers a range of altcoin tokens of especially promising projects which can be traded against BTC, ETH or the Dollar. First you have to enable the Scaled orders within the Order Form. 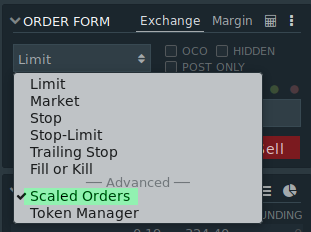 Advanced orders are not set by default to protect unskilled traders from accidentally setting scaled orders. Then you get into the scaled order form for the settings. Amount variance: Add variation into the amount of each order. Total amount remains the same.